Don’t miss the opportunity to taste a rare single varietal. 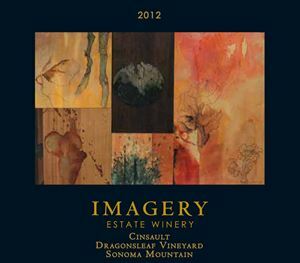 From January 17-19th, Imagery Estate Winery will be offering a special tasting of our limited-release 2012 Cinsault. The event will take place from 1-4pm this Saturday to Monday. Please call 800-989-8890 for any questions. To celebrate Cinsault’s unveiling, we will have a special soup pairing. You will be shocked how well this mystery soup pairs with Cinsault. It’s free to our club members and complimentary with a paid tasting. Spend your winter afternoon admiring the new additions to our art gallery.Have you heard of this often forgotten varietal? Like most wine lessons, let’s start with the pronunciation: its “san-So”. Cinsault is predominately used as a blending grape. It is a red wine grape whose heat tolerance and productivity helped it thrive in the former French colonies of Algeria and Morocco. France actually has more acres of Cinsault than Cabernet Sauvignon. It is frequently blended with grapes such as Grenache and Carignane to add softness and bouquet. Historically, Cinsault has been portrayed as a feminine influence in blending. Always the bridesmaid, never the bride. With our 2012 Cinsault, Joe Benziger has crafted an exceedingly rare single varietal wine. It is a bountiful, tightly bunched grape that prospers in the Sonoma Valley. This wine immediately vaunts pleasant perfume aromatics, reminiscent of a strawberry patch. It is soft and low in tannins, but the velvety mouthy feel it exudes is undeniable. Red fruit like raspberries and Bing cherries dance on the palate. Tagged cinsault, cinsaut, imagery wine and warmth weekend, sonoma valley, sonoma valley cinsault, wine and warmth wine weekendBookmark the permalink. Will Cinsault be included in the next wine club shipment? Cinsault will not be any Club Shipment. It is extremely limited production at only about 125 cases. It’s a special opportunity to taste and we hope to see you there! What does it pair best with? Pair with grilled vegetables, or grilled light meats like pork and chicken. But the wine also loves the creamy, distinctive flavors of a mild Thai curry, or the fried dough and potato-love-fest of samosa.